New Orleans basketball is starting a new chapter. Billionaire owner Tom Benson, who had indicated in 2012 that he wanted to change the name of the franchise, kept his promise as NOLA will take the court as Pelicans next season. The New Orleans youth movement continues with the presence of shooting guard Eric Gordon, who has played just 51 games in two years for New Orleans and is due for a break, Olympian Anthony Davis, forward Al-Farouq Aminu (re-signed), long-range bombardier Ryan Anderson, sophomore guard Austin Rivers, and forwards Lance Thomas and Darius Miller. Rail-thin No. 6 pick Nerlens Noel was shipped to Philadelphia for All-Star point guard Jrue Holiday (17.7 PPG and 8.0 APG in 2012-2013), who will start alongside Eric Gordon instead of breakout performer Greivis Vásquez, who in turn was sent to Sacramento in a three-team trade for former Rookie of the Year Tyreke Evans (15.2 PPG and 4.4 RPG in 2012-2013). Former Warriors and Nets sharpshooter Anthony Morrow, workhorse Greg Stiemsma, holdovers Brian Roberts and Jason Smith, center Jeff Withey (the No. 39 pick in the NBA Draft), and big man Arinze Onuaku round out the roster. 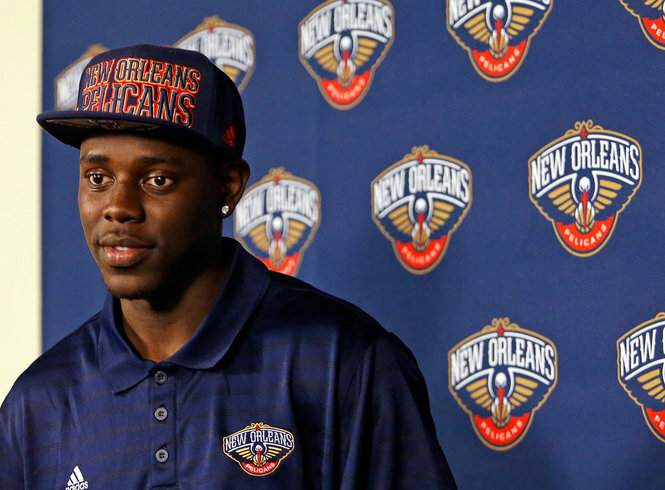 The Pelicans have built a young and potent roster for their inaugural seasons. Their starting lineup could possibly feature an All-Star, an Olympian, a former ROY, a former 3-point field goal leader, and a former No. 7 pick who averaged 22.3 PPG in 2010-2011. Sure, the young Pelicans need time to gel and learn, but there is no excuse for them to be a bottom feeder next season. "I learn by going where I have to go"